Jonathan R. Cole, former provost of Columbia University and member of the CEU Board of Trustees, presented his latest book “Toward a More Perfect University” at CEU on June 17. The book launch was part of the second conference of the Central European Higher Education Cooperation (CEHEC), co-hosted by CEU’s Yehuda Elkana Center for Higher Education and the Center of International Higher Education Studies at Corvinus University. Cole's volume is a “humane book written by a humanist,” said Liviu Matei, CEU’s provost and pro-rector, in his opening remarks. It is about the “great American research university,” the model we always come back to, he added. So what makes research universities in the U.S. great? What are the imperfections and challenges of the model? “It is a normative book, not a prognostication, of what a university ought to look like,” Cole said of his work. In the book he joins the debate, making suggestions on how to approximate the “ideal,” and what can make universities better in the 21st century. The book addresses the issues of getting into college and the selection of students; the importance of humanities; and the need for new structures and cooperatives strategies across universities and states. 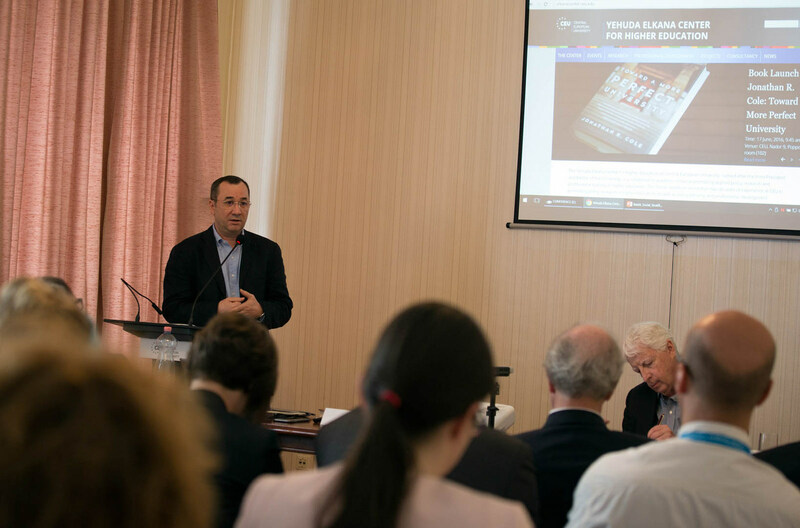 Gergely Kovats, senior lecturer at Corvinus University, discussed how the book is relevant to regions and higher education institutions other than U.S. research universities. “The questions this book raise on the role of governance at universities, on the importance of liberal arts and humanities, on the overregulation of the sector, and on trust are all important in Central and Eastern Europe as well. While other books start with discussing governance and funding, Cole starts with the most important part of higher education: teaching and learning,” Kovats said. He also suggested a new initiative involving university administrators and students to discuss what kind of higher education they would like to see in 50 years’ time. “The question is what we have to do now to achieve that vision,” he added. 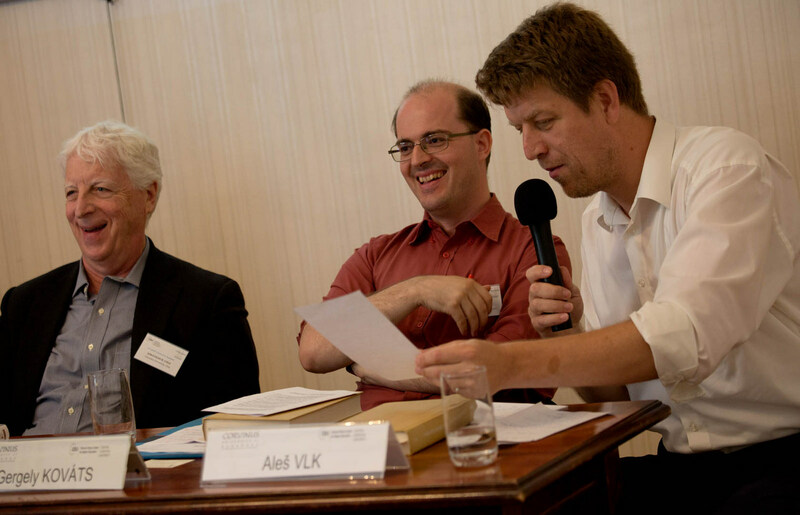 “In Central and Eastern Europe, we tend to forget about teaching and learning, and sacrifice them for research,” said Ales Vlk, director of the Tertiary Education & Research Institute in Prague. Academia has different features in every country - national identity overrides common features, he added. This book provides new knowledge on what makes U.S. research universities great, Matei added. It proposes concepts and tools on how to understand and explain processes, and makes recommendations on how universities might be able to regain governmental trust and thus become less regulated, Matei said in conclusion.